Lactobacilli isolated from the rumen of cattle were subjected to morphological and biochemical characterizations followed by PCR-based identification. Among isolates, Lactobacillus brevis was found to be the most prevalent species in the rumen. For in vitro conjugated linoleic acid (CLA) production, the two isolates of L. brevis and one each of Lactobacillus viridescens and Lactobacillus lactis were selected. 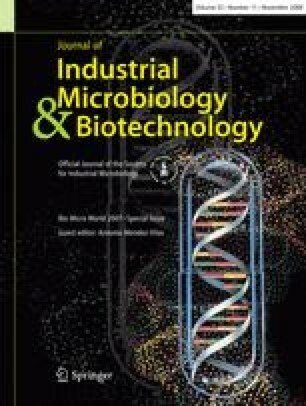 The sunflower oil (i.e., 0.25, 0.5 and 1.0%; a rich source of linoleic acid) was added to skim milk as a substrate for CLA production by isolates at 37 °C/12 h. L. brevis 02 was found to be the most potential CLA producer (10.53 mg CLA/g fat) at 0.25% concentration of sunflower oil followed by L. brevis 01 (8.27 mg CLA/g fat). However, at higher level of sunflower oil (i.e., 1.0%), L. lactis was the highest CLA producer (9.22 mg/g fat) when compared to L. brevis and L. viridescens. The results indicated that L. brevis and/or CLA production was inhibited with increasing concentration of sunflower oil in skim milk. In contrast, L. lactis and L. viridescens could tolerate the increasing concentrations of sunflower oil and produced higher CLA. Overall, L. brevis extends a possibility to be used as a direct-fed microbial for ruminants to increase the CLA content in milk, however, in vivo trials are needed for validation of results obtained.